Frequently Asked Questions - Website of bbgcbasketball! What league does BBGC compete in? Evaluations will begin in early November for boys and October for girls. Boys and girls games in the PGCBGC League begin the 1st week of January and end mid to late March. Boys and girls games in the AACBGC League begin the 1st week of December and end mid to late March. What are the ages/divisions for the basketball players? Bowie has a Littles League for ages 5-7, Intramurals for boys and girls ages 8-18, and county leagues for boys and girls ages 8-18. What clubs do we play against? Prince George’s County Boys and Girls Club participating teams for the PGCBGC League. Anne Arundel County Boys & Girls Club participating teams for the AACBGC League. For the PGCBGC League, Bowie City Gym and the Bowie Annex is our home game facilities. Half of our County games will be played on our home court. Most games are played over the weekend. Most County Teams play a minimum of 10 games. If a team makes the playoffs, there can be as many as 12 games. Littles and Intramurals usually play 8-10 games with a tournament at the end of the regular season. How often is practice and where do they take place? Littles and Intramural teams usually practice 1-2 days a week for one hour. County teams usually practice for (2) days a week for one hour. 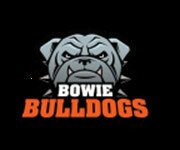 Practices are at schools throughout the Bowie area and at the Bowie City Gym.